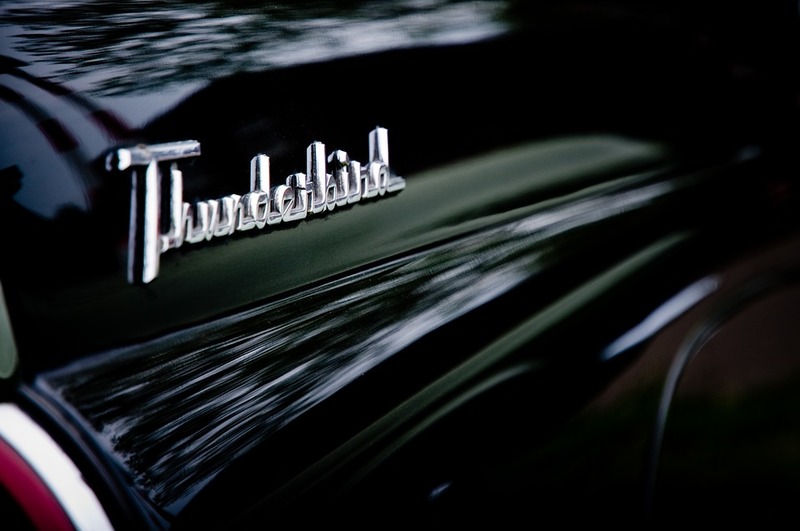 The basis for vehicle classification is the three most commonly used names, the Make, Model and Type. For example, the name Ford Fiesta ST refers to the brand; Ford, the Model Name; Fiesta, and the particular Variant; ST. In casual reference, a vehicle might be referred to by its Model name only. 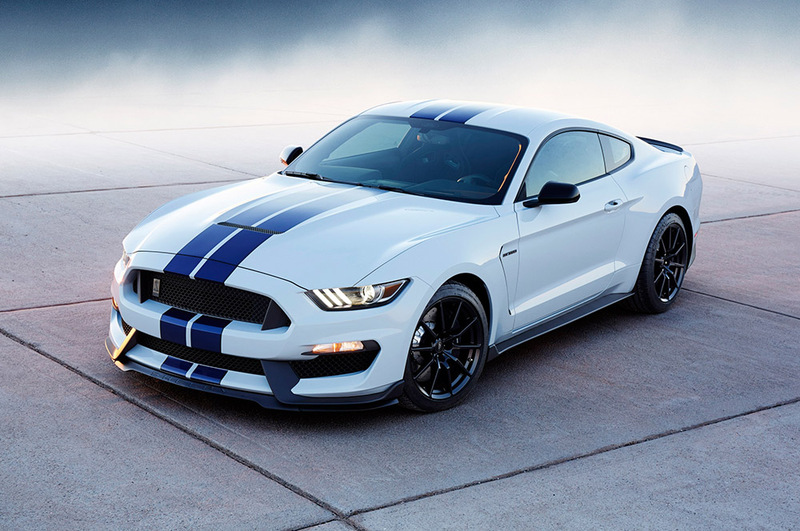 When a person says "he drives a Mustang", there is little need to include the Brand name. However, discerning listeners will wonder about the type. Additional examples of this three name structure include Dodge Ram 2500 and Audi A5. As is apparent, naming of model variations is largely discretionary with manufacturers choosing their own naming conventions. Typically however, names of model variations will indicate which features each variant includes and may speak directly to the trim package that is included. For example, a Dodge Ram 2500 is a full size truck with heavy duty towing and hauling capacity as opposed to the Dodge Ram 1500 which is the full size truck with standard capacity towing and hauling capacities. Likewise, an sedan with the variant "LE" will include upgrades to interior materials and systems befitting its designation as a Luxury Edition. Beyond naming conventions, vehicles are often described in terms of their shape. The use of one, two, or three-box design designations may be used. When using the box-design terminology, a vehicle's shape is divided into engine area, passenger area, and trunk space. A Toyota Prius, for example, might be called a One-Box design due to the sweep of the pillars that give the visual impression from outside the vehicle, that engine, passengers and cargo are all contained in one space. Likewise, a common sedan, like a Ford Taurus, for example, would be considered a Three-Box design where the engine, passengers and cargo are clearly separated into three visual spaces when viewed from outside the vehicle. A station wagon, for example, would be a Two-Box design under these criteria with the engine compartment in one box and the passengers and cargo in a second. Vehicles are often categorized in terms of their size and usage. For examples, the terms sedan, economy, luxury, sports, SUV, MPV and CUV are all used to describe vehicles. For example, a sedan is generally a four door, five or six seat vehicle while a sports car is usually a two seat, two door, much smaller vehicle. A passenger car, typically in 3-box configuration, for four or more people. Could be any type of vehicle that is appointed with higher quality equipment, higher performance components, or innovative features to increase passenger comfort or convey an image of prestige. A highly subjective term. Another subjective term but generally used to describe a vehicle with components designed to maximize performance sometimes at the cost of passenger comfort and space. A small car with low purchase price and cost to be operated. Can be any design shape. Typically a two-box design, often with four-wheel drive and increased towing capacity. Usually built on a light truck frame. Multi-Purpose vehicle, also known as a minivan. A two box designed built to maximize passenger carrying capacity. Often includes sliding doors. Built on a light truck frame, smaller than a full-size van. A Crossover Utility Vehicle. An SUV built to provide car-like handling and gas mileage with SUV-like cargo and seating capacities. Typically a two-box design. Size and weight also provide convenient ways to describe vehicles, especially pickup trucks. Wheelbase, track width and ground clearance might all be used to describe a vehicle. Wheelbase is the length from front to rear wheels, track width is the distance between tires and clearance is the distance between the ground and the bottom of the vehicle. High clearance vehicles, four wheel drive pickups for example, provide lots of clear space under the vehicle for rolling over obstacles. 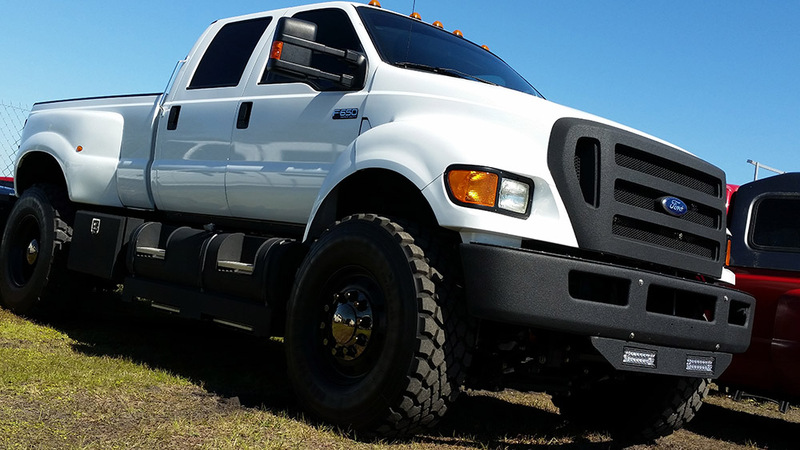 Image Courtesy - «Ford F650 XLT Super Duty Pickup Truck» by amateur photography by michel on Flickr, licensed under CC BY 2.0. Low clearance, think low-rider, sits lower to the ground. The turning radius of a vehicle will be defined by its wheel base. A jeep, with short wheel base, will turn around in a shorter distance than a full size pickup with long wheelbase. If the wheel was held over and the vehicles driven in a circle, the jeep makes a much smaller turn than the truck. Keep in mind that where dimensions are concerned, things like trunk space, the volume of the cargo carrying area may be referred to as well. 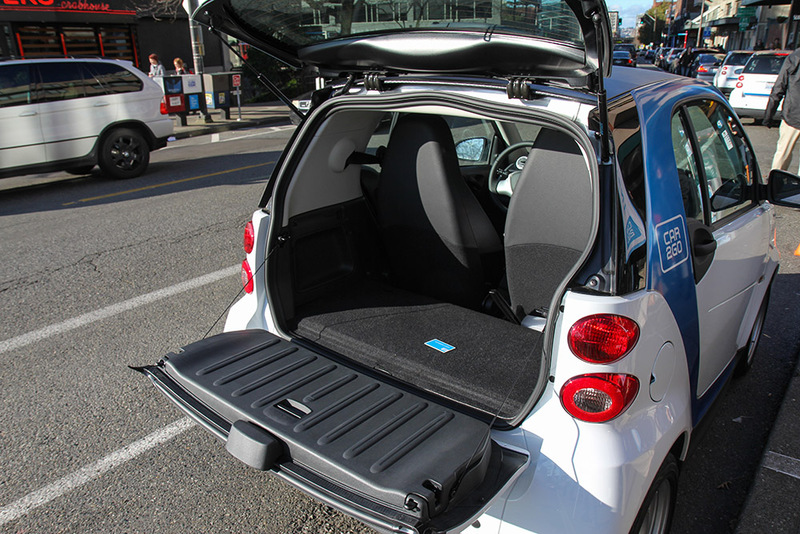 Image Courtesy - «Car2Go/Smart Car Trunk» by Atomic Taco on Flickr, licensed under CC BY-SA 2.0. Vehicle weights are usually referred to in terms of Curb Weight and Gross Weight. 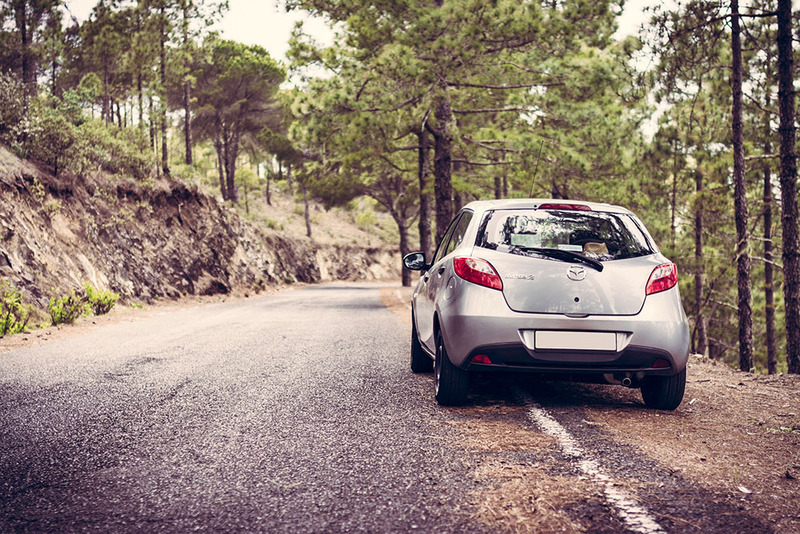 Curb weight is the weight of the vehicle with full fluids, as it sits with no cargo or passengers. Gross weight is the maximum design weight. The difference between gross weight and curb weight will define the maximum weight of cargo and people that the vehicle is rated to carry. 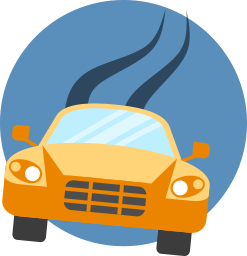 When used to describe a vehicle, a(href="http://auto.howstuffworks.com/engine2.htm" target="_blank") engine terms | like gas, diesel, hybrid, four cylinder or six cylinder may be used. Likewise, fuel burning engines may be described by the volume of space used for combustion (in the cylinders). A 304 V8, for example is an 8-cylinder engine with 304 cubic inches used for combustion in the cylinders (often referred to as displacement). Without getting hung up in the physics of it, the term horsepower is used to describe the power available from the engine and torque is a description of how hard the engine can work at low speeds. Torque is therefore most often used to describe ability to pull a load and horsepower will define ultimate speed. Acceleration will be discussed as a description of how fast a car will accelerate from a stop to 60 mph. Race cars do this in a few seconds. A sedan usually needs a few more seconds and a pickup is going to need a few more than that. Image Courtesy - «Acceleration!» by Nikos Koutoulas on Flickr, licensed under CC BY 2.0. Keep in mind that as top speed, acceleration, engine size (displacement) and horsepower go up, so does fuel consumption. Fuel efficiency, often given in miles per gallon, will describe how well a vehicle uses each gallon of gas. High performance comes at a price. Also consider that as fuel consumption goes up, typically so does the size of the tank. 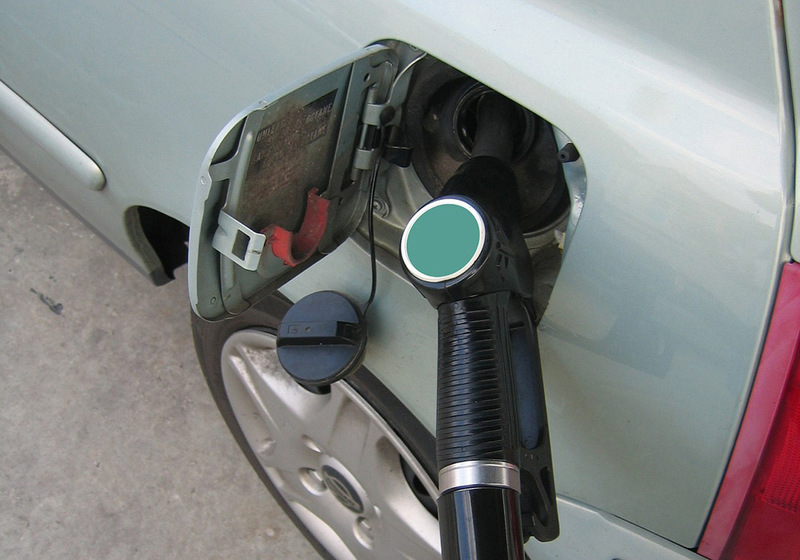 Fuel tank capacity might be worth considering if the vehicle is estimated to burn fuel at a high rate. Finally, engines burn a wide variety of fuel and the terms gas, diesel, hybrid, alternative and electric will be used in engine discussions. Generally, the term used tells which fuel is used with hybrids using some combination of electrical energy and petroleum based fuel. Alternative fuel vehicles will use a non-petroleum based power source like bio-diesel, bio-ethanol or hydrogen. Where transmissions are concerned, it is important to note the distinction between a manual and an automatic. In manual transmission, the driver uses the clutch to disengage the transmission and a lever to select the appropriate drive gear. In an automatic, the driver selects a setting such as "drive" and the transmission makes gear changes automatically based on throttle position and engine conditions. 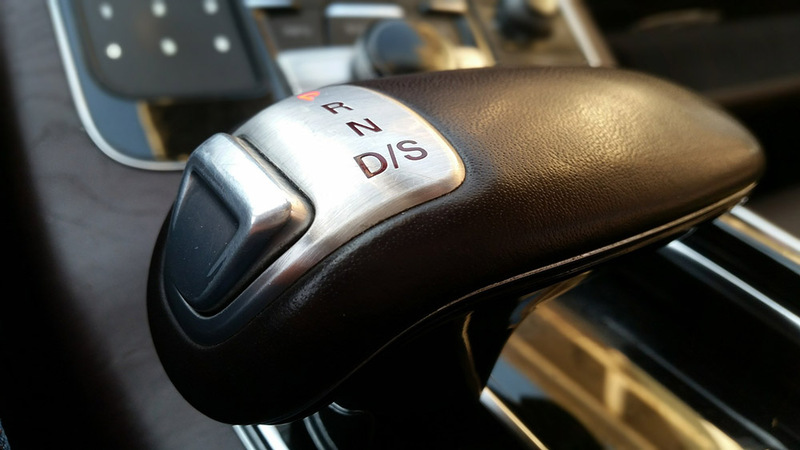 Automatic transmissions require less interaction from the driver but can be costly to repair. Manual transmissions require a different skill and interaction level but can give customized control to a driver. It should be noted that the term gearbox is often used to relate the number of gears available. For example, a five-speed gearbox indicates that within the transmission there are five selectable gears. This may also be described as a 5 speed transmission. 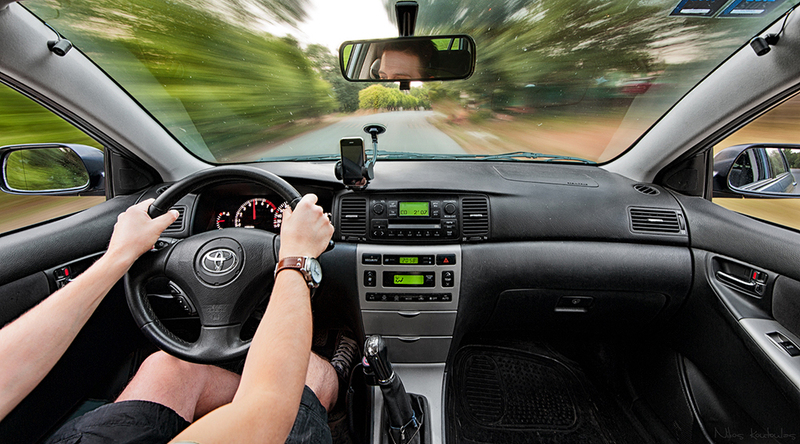 Handling is the way a vehicle drives in terms of steering and stability. It is influenced by the powertrain (everything related to power generation and delivery), drivetrain (all the parts that deliver power after the transmission), suspension, steering controls, tires and even the shape of the vehicle. Handling is also largely influenced by the configuration of the vehicle for front, rear, four or all wheel drive. Rear and front wheel drive are self-explanatory terms but four and all-wheel drive can cause some confusion. Typically, four wheel drive is optimized for rough, off-road conditions. All-wheel drive is a constantly variable power delivery system that improves traction during acceleration and in sloppy road conditions by adjusting the amount of power delivered to each wheel as needed. Suspension refers to the assemblies designed to cushion the interaction between the vehicle and the roadway. It can be defined as independent, wherein each wheel can move in relation to the others, or dependent, wherein both wheels on an axle must react to bumps with each other. Suspension is configured to improve handling based on expected use. A sports car will have a fully independent suspension, for example, to maximize handling at speed. Tires should not be overlooked as a component of handling. The shape, size and design of a tire will vary with intended use and will change the way a car handles. Summer tires, made of material best suited to hot, dry roads will be a harder compound than winter tires which tend to be softer and have a different tread pattern. Performance tires will be softer and meant for higher speeds and better cornering. Several subsystems designed for passenger comfort and convenience will be a part of vehicle classification. Power steering, a hydraulic assist for steering inputs, power windows, which are electrically actuated, and central locks which lock all the doors at the press of a button, will all be described in vehicle literature as will infotainment systems like radio, satellite interface, GPS and onboard navigation. 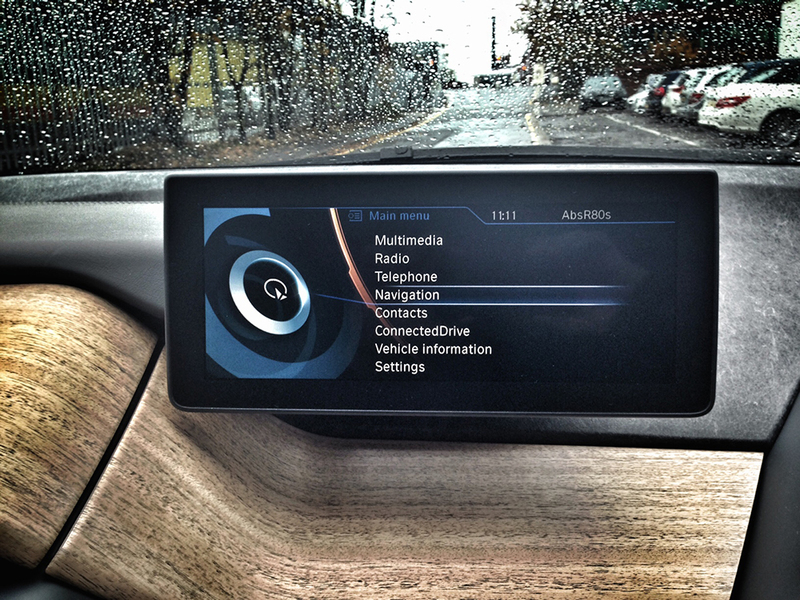 Image Courtesy - «BMW i3 Infotainment System Car Leasing Made Simple» by Car leasing made simple on Flickr, licensed under CC BY 2.0. Likewise, Anti-lock brakes (ABS) and Electronic Brake-force Distribution (EBD) systems use computer sensors to monitor brake inputs and forces and to minimize skids. Sensors might also be used to provide collision avoidance, blind-spot detection and adaptive cruise control systems to avoid collisions and to assist with driving tasks that are associated with accidents. Airbags, described by location (side impact, knee, curtain) will be discussed as a part of the safety language. 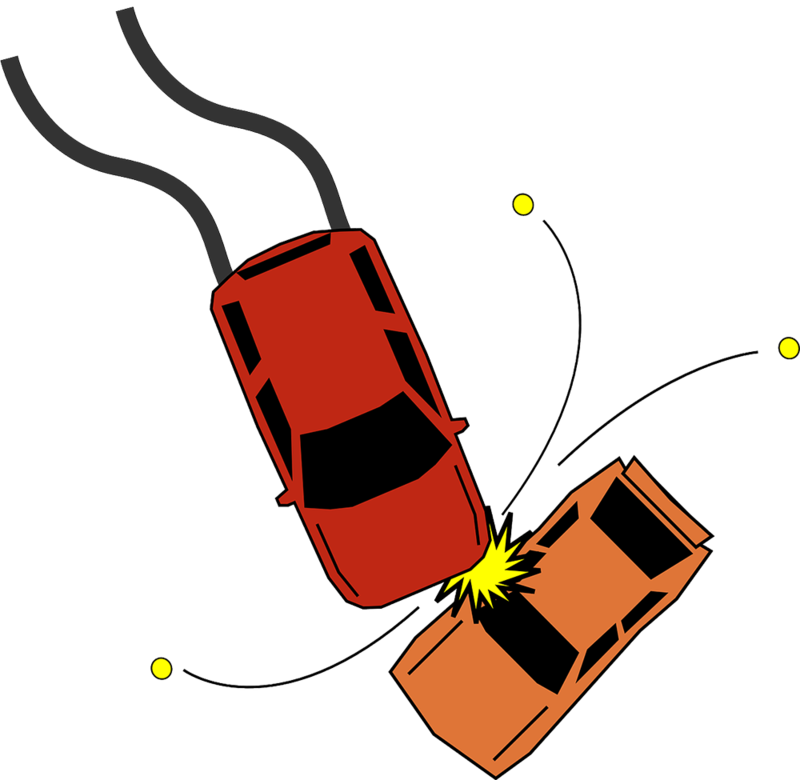 Car safety ratings will provide some information on the resistance of the vehicle to deformation in the event of front, rear, side and rollover accidents. Safety ratings are assigned by ratings agencies and are based on vehicle responses to standardized test "crashes". If you are still unclear about some of the automotive jargon, read our short blog article on a few car terms you should know.